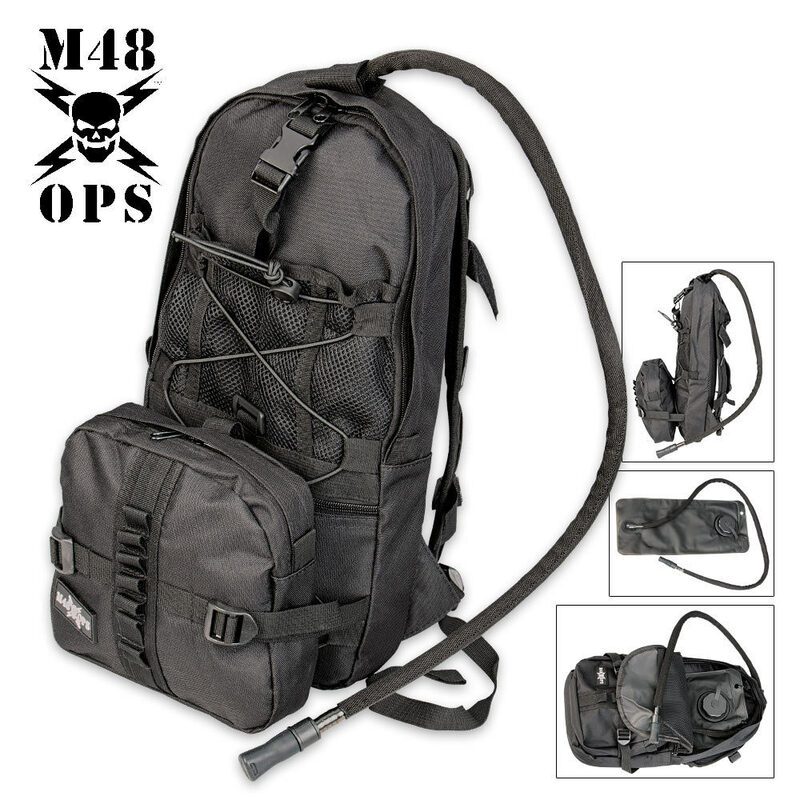 M48 OPS Hydration Bag With Bladder Black | BUDK.com - Knives & Swords At The Lowest Prices! You've been asking for it, and M48 has delivered in a big way with this brand new M48 OPS hydration bag. The heavy-duty nylon construction is built to last in even the most rigorous and rugged conditions. It's a must-have accessory for mountain climbers, hikers and extreme outdoors enthusiasts. The padded back and adjustable straps ensure a custom, comfortable fit. 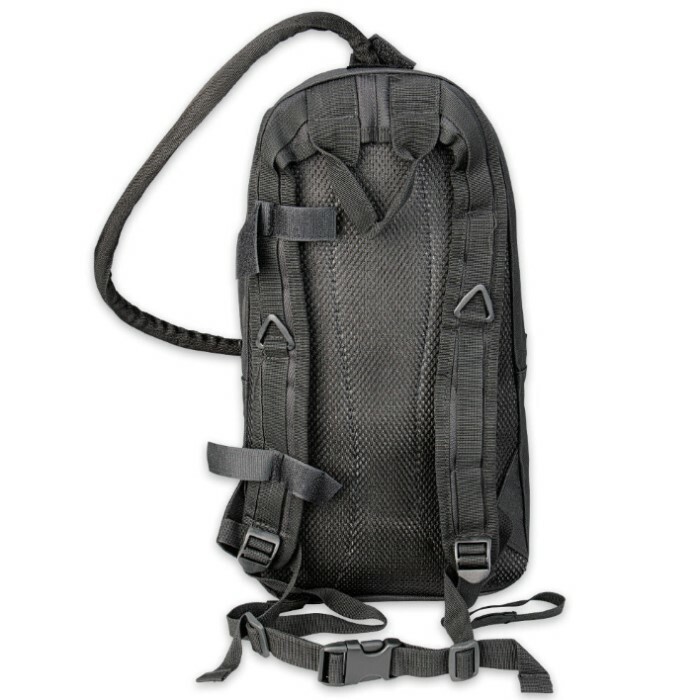 The straps feature attachment webbing, and there are multiple pockets and zippers to store your smaller accessories. Best of all, it includes a 2.5 liter hydration bladder. We travel out west a lot to hike with family,got one of these bags and it works great enough water and compartments to carry some gear and snacks. My wife wants one now. This is a nice bladder bag and has allot of compartments to put stuff in. The only thing I found wrong with it is I am a waist size 35 and the belt strap for the waist is maybe a 20 inch waist size. More for a young kid. I wasn't planning on wearing it but rather I was going to mount to my back pack anyway so It wasn't something I was concerned about. I really think it's nicely thought out. 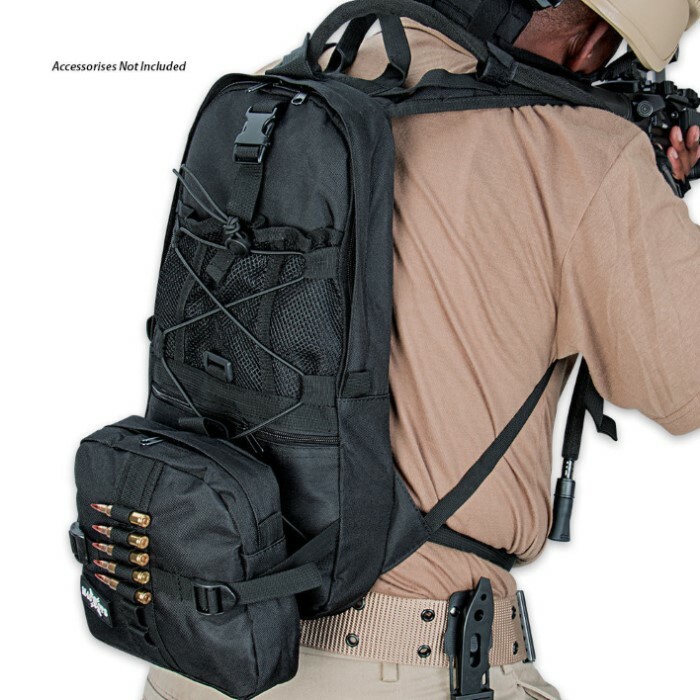 Great go bag well made fare amount of space for your bare needs. If you like to travel light this is just the bag you want. Just what I needed to make a Deer/Elk hunting emergency bag in case I have to spend a night out in the snow/mountains .